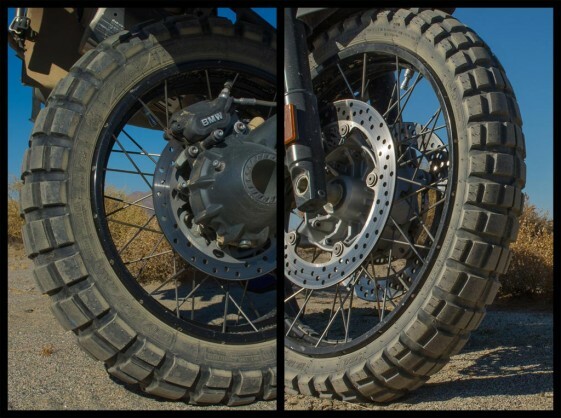  Can a dual sport tire deliver both off-road performance and longevity? Few topics stir up as many opinions among motorcyclists as tire choice. Even more so for Adventure Riders who are faced with every imaginable riding surface ranging from asphalt to river crossings, often during a single trip. Finding a 50/50 dual sport tire that performs well on both street and dirt is hard enough, but Adventure Riders also want a tire that lasts. The search for the best dual sport tires typically leads off-road oriented Adventure Riders to the Continental TKC 80 or Heidenau K60 Scout, but neither tire is without compromise. The TKC 80 is known to have excellent off-road traction but suffers from premature tire wear and road noise. Heidenau K60s last a very long time but their hard compound and more road oriented design limits them in the dirt. Some riders resort to mixing and matching the two brands in an effort to acquire the best dual sport tire characteristics. 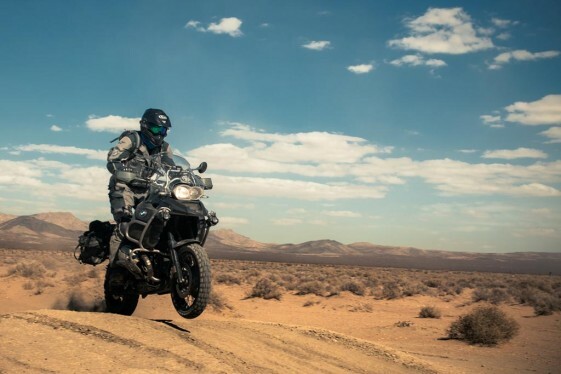 When the off-road training and tour company RawHyde Adventures was searching for a replacement tire for their large fleet of adventure bikes, they looked for a dual sport tire with excellent off-road performance that would last longer than the 2,500 miles they were typically getting out of the Continental TKC 80. What they discovered was a tire available only in Europe called the Sava MC60 GETaWAY. After using the tire, they became so impressed with its performance and longevity that they decided to become the exclusive U.S. distributor. Savatech, as they are known in Europe, is a Slovenian company and a subsidiary of Goodyear tires. The Sava MC60 GETaWAY is a tubeless tire designed for big adventure bikes and it has a unique feature not found on any other dual sport tire. 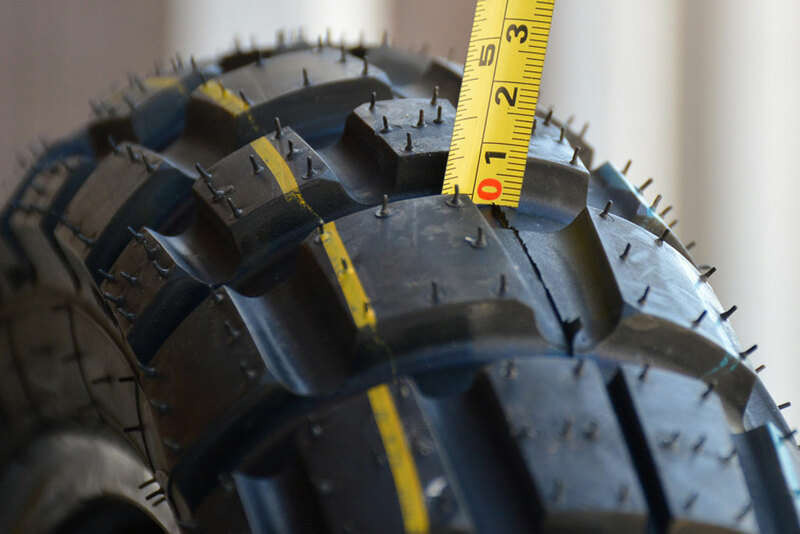 Depending on the direction you mount the rear tire, you can either maximize traction off-road or increase tire longevity. Mount the Sava MC60 dual sport tires in either on-road or off-road direction. 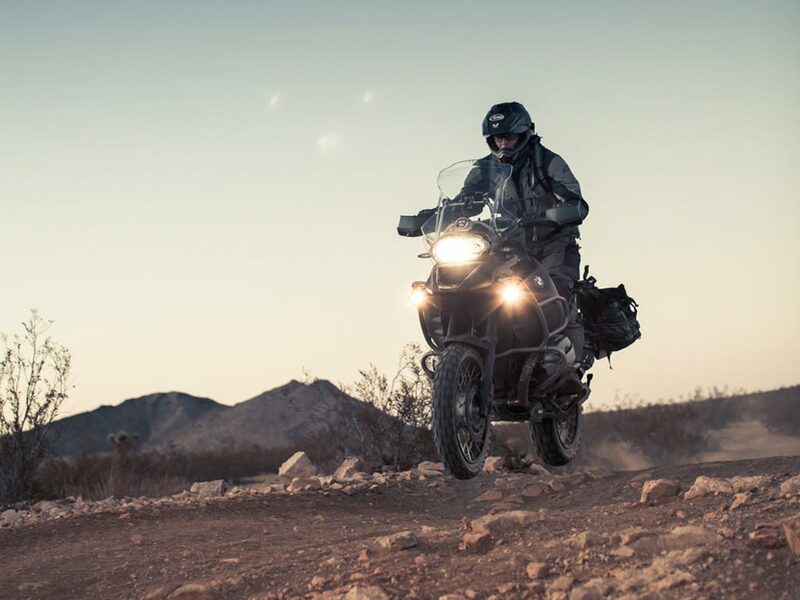 As an alumni of RawHyde off-road training program and Base Camp Alpha rides, I knew first hand how the RawHyde team push their bikes to the limit in some of the most difficult terrain, so I decided the Sava MC60s were worth giving a try. 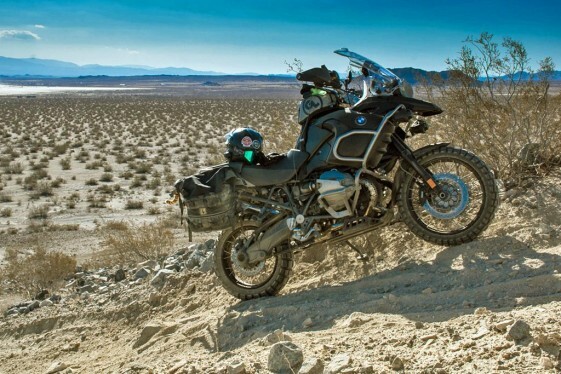 After stripping off my worn-out and very squared Heidenau K60 Scout rear and Continental TKC 80 front on my 2013 BMW R1200GS Adventure, I was faced with the choice of which direction to mount the rear tire. While I was planning to do a lot of off-road riding, the fact is there’s a lot of pavement between me and the nearest large patch of dirt. I wanted to make sure the tires lasted, so I opted for the on-road direction. The Sava MC60s measured 8mm of tread in front and 12mm on the rear. For the maiden test of the MC60 tires I loaded up the BMW R1200GS Adventure and headed East out of Los Angeles. The route would take me through El Mirage Dry Lakebed, then into the San Bernardino Mountains and back down to Joshua Tree National Park on Burns Canyon forest service road. The route would test the tires over a range of surfaces including four lane interstate, twisting two lane mountain roads, hard pack fire roads, rocky hill climbs and sandy single track. On the pavement, the feel of the Sava MC60 tires was confidence inspiring. The rear tire has a rounder profile than the Heidenau K60 Scout, making dropping into corners and transitioning feel quick and easy. Even with the aggressive looking block tread pattern at the edges, cornering hard on asphalt felt sure-footed. The outer knobs delivered a grippy feel and slippage under hard cornering was predictable. The front MC60 has a quieter and smoother rolling feel than the Continental TKC 80. Absent are the vibrations in the handle bars from knobs at slower speeds. Highway noise was minimal, producing just a quiet oscillating note at speed. As I entered Burns Canyon road, I learned from a local that rains had washed out a steep section on the route, leaving only exposed jagged rocks that would increased my chances of getting a flat. But the Sava MC60 tires performed as advertised in the dirt. Even with the rear tire mounted in the “on-road” direction, the compliant rubber delivered reliable traction up challenging rocky trails. Tire knobs stayed intact even after hauling my loaded GS over sharp exposed rocks and I was able to make it through without any flats. On hard pack, the rear was quick to hook up when getting on the gas and it performed more like a knobby tire off-road than my previous Heidenau K60 Scout. The knobs had good bite characteristics while tractoring the big GSA on softer surfaces. With more traction on hand, spinning the rear tire occurred only with aggressive throttle input and getting the front wheel up over obstacles was much easier. A rocky hill climb near El Mirage Dry Lakebed was a great place to test the rear wheel traction of the Sava MC60 tires. The only surface that proved a bit of a challenge for the Sava MC60 was deep sand and silt. The rear tire maintained good traction, but keeping the front from washing out while plowing through deep sand traps took a little extra attention. Deep sand is difficult for any dual sport tire on a large adventure bike, but front tire performance seemed to be significantly above the Heidenau K60 and slightly behind the Continental TKC 80. While comparable in price and performance to the Continental TKC 80, the best selling point of the Sava MC60 dual sport tires is the tread life. After 1,000 miles of dirt, highway and twisty canyon riding, the rear tire shed only 2mm of rubber and the front just 1mm. Claims that the Sava MC60s will typically last 4,500 to 5,500 miles seem accurate. What’s more, the rear tire continues to hold its round profile instead of “squaring off” like the Heidenau K60s. Unlike the K60s, you don’t have to compromise off-road performance to get good tire life. 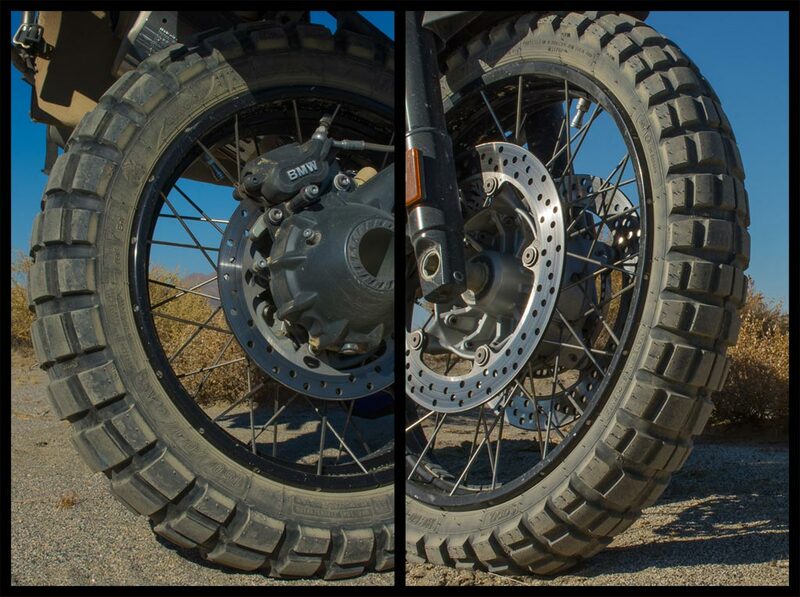 The front and rear Sava MC60 dual sport tires showed very little wear after 1,000 miles of rigorous testing. With the introduction of the Sava MC60 to the U.S. Market, Adventure Riders now have another great option to consider when searching for the best dual sport tires. The unique dual directional mounting feature allows riders to fine-tune performance characteristics, without having to mix and match different tire brands that were never designed to work together. Even with the MC60 mounted in the “on-road” direction, I was never left wanting for more rear wheel traction off-road and I was happy to get more life out of the rear tire. With tread life that’s on par with the Heidenau K60 and knobby tire performance similar to the Continental TKC 80, the Sava MC60 may be one of the best kept secrets in the ADV Community. Currently, the Sava MC60s are available in sizes 110/80-19 (Front) and 150/70-17 (Rear). Great info. Definitely getting these for my next set! I’ve been using TKC’s but they definitely have terrible mileage and the Karoo 3 were a bit too street biased for my taste. Can’t wait to try these out! These tires are also becoming available in the US under the Mitas brand name. Interesting. Numerous other riders have been leaving positive comments on Facebook about Mitas tires. Done Bolivia on them. Great mileage and handling on dirt and pavement even in the rain. Strongly recommend. Pingback: Sava GETaWAY MC 60 Dual Sport Motorcycle Tyres Discontinued? Thanks Martin. The Mitas E-10 tires look like they have a different tread pattern than the MC60. We checked with Rawhyde and they still have plenty of Sava MC60 tires available in stock. They actually just ordered a new shipment of Sava MC60s last week. So for the time being there should be no problem getting a set of the MC60’s. Mitas E07’s also offer a great choice and last a tremendously long time (reports of 30K kilometers) I’ll be happy if I get 8-10K miles and have a solid platform for the off road riding I’m just starting to enjoy. Really? You think anyone is going to remove the tire and reverse the rotation depending on where they’re riding! Might just as well change the whole tire or have a seperate wheel ready with another tire. This is not a solution! We’re heard of some people actually switching the tire direction for the occasional off-road trip. Most people however, like myself, choose a direction during the first installation based on the type of riding they expect to do over the next several thousand miles. Just so that we are clear … only the rear tire can be mounted in either direction? Correct. Only the rear tire features the directional mounting option. I may have to get a set of these for my V-Strom after I finally find a set of the new-for-2015 spoked wheels (on the 650 XT). I’d like to see these offered in sizes for my DR650 as well, since using D606’s fulltime can be frustrating. Where can i buy a set of these in the United Kingdom please? 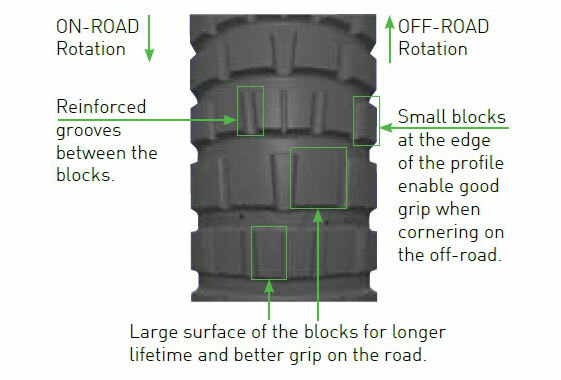 These tires advertise 40% longer tread life (if mounted in “road” orientation), though with less traction than the TKC 80’s. The problem is they are 50% more expensive plus you have to special order them and wait, then pay expensive shipping. Also they come in only one size, not a common size either. I’m not sure I see the advantage. TKC 80’s are still the best option…. my life and my 24k bike are worth it. Out of curiosity, have you actually tried them. Or…? I read as many relies and comments I could. Tire reviews are always subjective. Comments not so especially if one speaks from emotions, vs actual experience. Yet I decided to try them out. I have a set waiting to be mounted. Got a good deal on eBay as they are being closed out. I’ll let you know my learned opinion, after a few thousand miles. Val. Have you had a chance to ride these yet ? Thoughts? Sure they were worn down, and you could “feel” them if you got too aggressive. They were fine in rain, dirt, and rain grove concrete freeways, earlier in their life, I commuted on them too. I’d buy another pair in a heart beat, if they were only available.